The best truck driving jobs offer steady work, a good salary and an excellent benefits package. Many companies offer great opportunities in the truck driving industry. A career as a truck driver has very a very promising outlook. According to the Bureau of Labor Statistics, job opportunities in this field should be plentiful, especially for drivers who take long-haul jobs. Retailers and manufacturers use trucks to haul countless products. Those who have the skills to work in the driving industry can expect to have plenty of options available, but which jobs are the best? Long-haul driving jobs have a great outlook, but the position isn't for everyone. Heavy truck and tractor trailer drivers may take large vehicles across several states, and perhaps into Mexico. Long-haul drivers have to map out their own routes over significant distances, which can be very challenging because of the restrictions that impact heavy trucks. They have to meet serious deadlines while adhering to rules and regulations established by the U.S. Department of Transportation and are often away from home for long periods of time. Teamwork is also essential in this line of work, as most trucking companies utilize two drivers who work in shifts, alternating driving time with rest periods. Truck drivers who deal with unusual cargo face considerable challenges. Many find this type of work very appealing, especially those who enjoy problem-solving. Some drivers boast skills in certain types of cargo, each with a special challenge. Specialized truck drivers need to have great attention to detail, and they have to follow strict guidelines to ensure that the cargo reaches its destination without incident. The long haul isn't for everyone, and specialized driving can be unnerving. Pick up and delivery (P&D drivers) work on a localized scale. Some drivers may have several loads that they deliver to homes and companies throughout the day, while others may have one load that is dispensed throughout the shift. This type of truck driving job is best for someone who doesn't want to spend a lot of time away from home, and for individuals who want to work regular hours. Some P&D drivers take payments for cash-on-delivery agreements, and they may have to handle paperwork along the routes. If you have a knack for sales, you may want to consider a truck driving job with sales responsibilities. Some companies hire drivers who solicit potential clients along their routes, while others encourage established customers to buy new products or increase their inventories. The sales-orientated driver should have good communication skills and sound knowledge of the clients' needs. A love for the open road isn't enough to qualify you for a job as a truck driver. 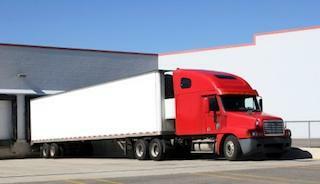 It is necessary to earn a commercial driver's license (CDL) to operate larger vehicles. Licensure is offered by vocational-technical schools and driving schools. Drivers who operate small trucks may require a little on the job training, but they can operate the vehicles with a regular driver's license. Your driving record counts, and there is usually a limit to the number of traffic violations you have as a driver. Those who have felony convictions are not eligible to receive a CDL. Additionally, specialized truck drivers handing hazardous materials have to pass a Transportation Security Administration (TSA) background check. Even the best truck driving jobs aren't for everyone. While the jobs are great options for people looking for good paying careers without a degree, they can be challenging.